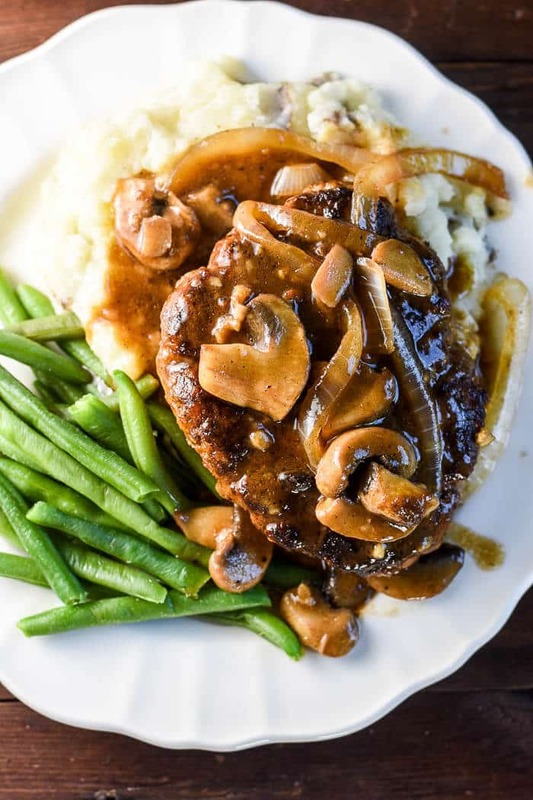 This homemade easy Salisbury Steak is a ground beef patty with onions, mushrooms, and a brown Salisbury Steak gravy, and is pure comfort food. 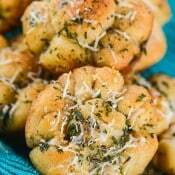 Serve with mashed potatoes and green beans or peas and you have a fantastic family dinner. Texas is beef country. I grew up in Texas and beef was king. 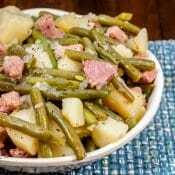 My Dad was a meat and potatoes guy, and that is what we kids ate too. Things were a little different in my family. My Dad was a great cook. My Mom tried, but it was not something she liked to do. 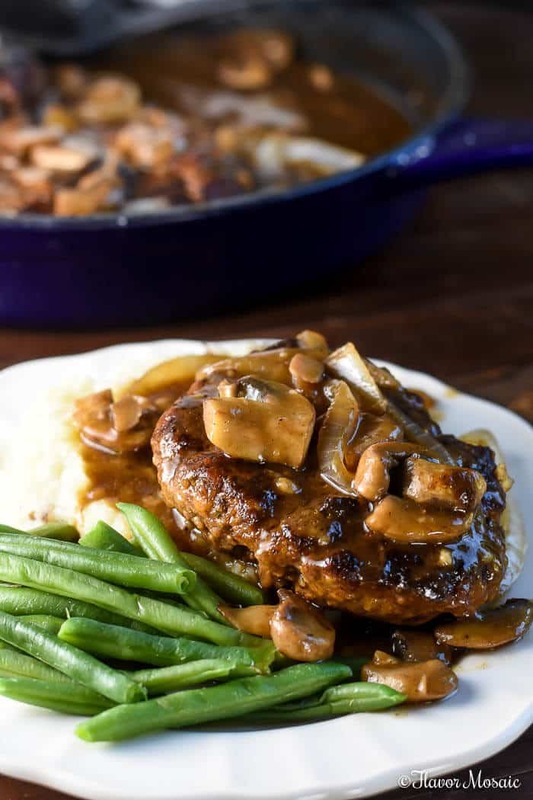 If you have a meat and potatoes guy or girl in your family, they will be in heaven if you make this savory homemade Salisbury Steak for dinner, especially with that awesome Salisbury Steak gravy. I have a secret ingredient in my Salisbury Steak that so far I have not seen in any other Salisbury Steak recipe. What is it you ask? It is cocktail sauce in the meat patty. Most people use ketchup. However, I like the extra flavor and kick of the cocktail sauce. If you don’t have cocktail sauce, don’t worry. You can easily make your own or just substitute ketchup. Cocktail sauce is ketchup with horseradish, Worcestershire Sauce, Lemon Juice, and hot sauce. 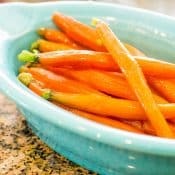 See the printable recipe below for the amounts. 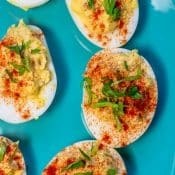 In a large mixing bowl, combine the ground beef, bread crumbs, egg, cocktail sauce (or ketchup), yellow mustard, Worcestershire Sauce, pepper, and the garlic and herb seasoning. Mix well to combine. Shape the meat mixture into oval patties. Add the cooked beef patties back into the skillet. Bring to a gentle simmer, cover, and cook the patties for 5 more minutes, or until they’re cooked through. Remove the Salisbury steaks from the heat and serve them warm. The onions and mushrooms are sautéed in butter, which adds so much flavor. 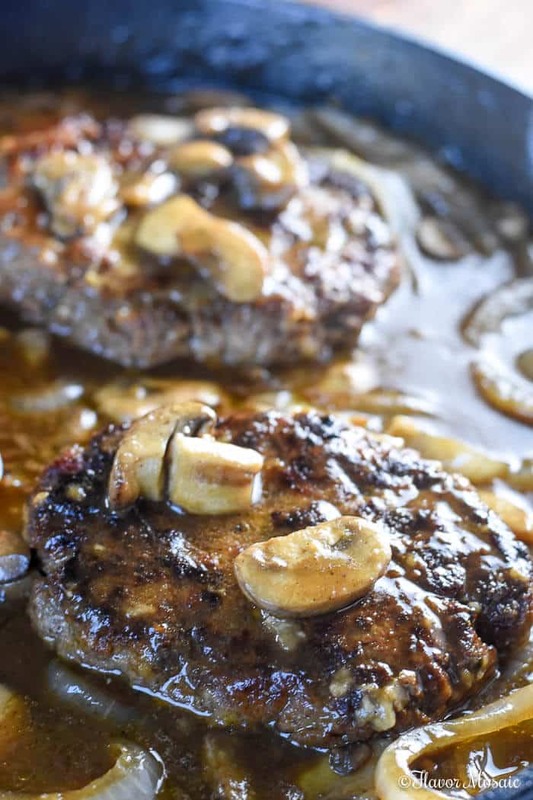 Then you make this easy Salisbury Steak gravy in the same pan. Add a little flour, beef broth, more Worcestershire, and dry mustard, and you have a delicious Salisbury Steak gravy. 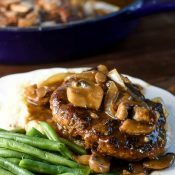 This easy Salisbury Steak with sautéed onions and mushrooms with the Salisbury Steak gravy is so comforting and is a real crowd pleaser. 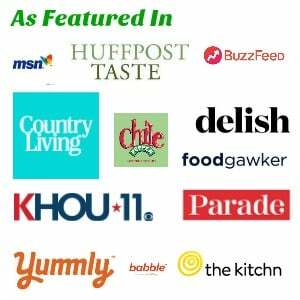 For other recipe ideas, check out these recipes. 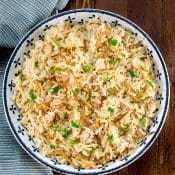 Baked Ziti – A delicious, make-ahead dish that is budget friendly and can really feed a crowd, making it perfect for large gatherings or potlucks. 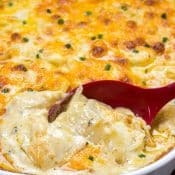 Cheesy Tortellini Skillet Lasagna – perfect when you want lasagna but don’t have the time to make it from scratch. By using tortellini, this one-pot tortellini lasagna can be ready in 20 minutes! 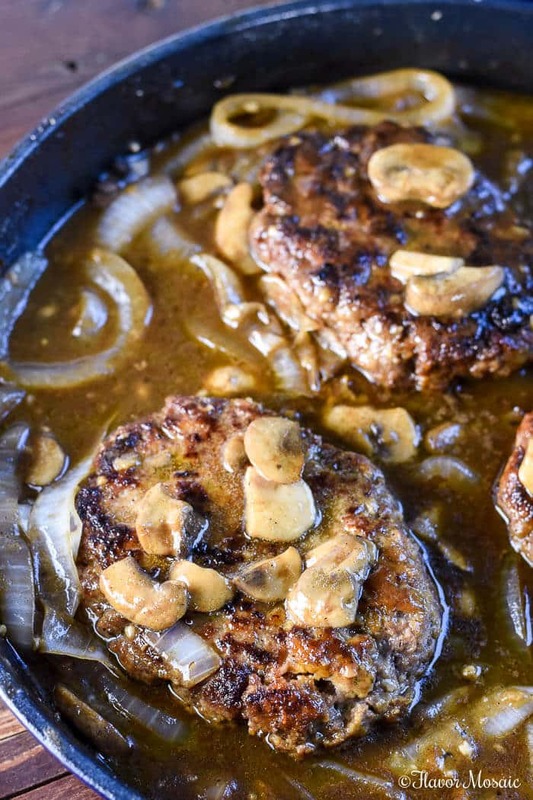 This homemade Salisbury Steak is a ground beef patty with onions, mushrooms, and a brown gravy, and is pure comfort food. 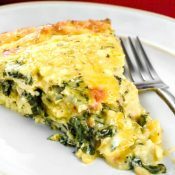 Serve with mashed potatoes and green beans or peas and you have a fantastic family dinner. Shape the meat mixture into four oval-shaped patties. Prepare the gravy: add the onions and mushrooms to the skillet and reduce the heat to medium-low. Sautee the onions for about 5 minutes. Sprinkle 2 to 3 tablespoons of flour over the mushrooms and onions and stir to coat. Gradually stir in the beef broth, Worcestershire sauce, and mustard and raise the heat back to medium. In a small bowl stir together all the ingredients listed under Homemade Cocktail Sauce. Then use it in the Salisbury Steak recipe. Michele, I assume the number of servings is a typo. Hi Chuck, yes 40 servings is a typo. 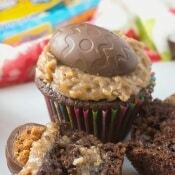 It has been corrected to 4 servings. Thanks for letting me know.